Adding drywall to a house transforms it into a home. As a drywall installer and finisher, you will turn a bare, framed structure into cohesive rooms by hanging drywall panels and preparing the panels for painting. This requires construction math and the ability to measure and cut accurately—installing drywall panels is like putting together a puzzle. Once all the pieces are attached, you will apply sealing compound and tape to create a smooth, even surface. 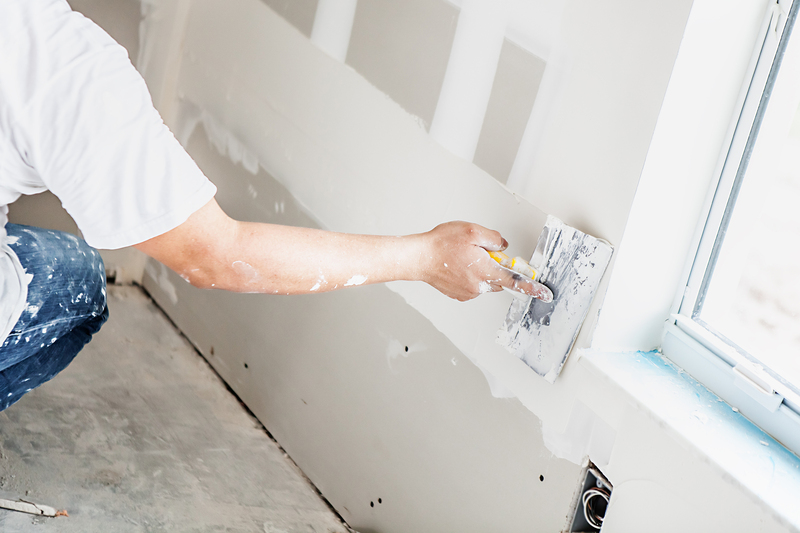 Drywall installers move quickly—the more you install, the more you get paid. At the end of the day, you can step back and see the physical progress that you’ve made. Drywall finishers move more slowly, focusing on creating flawless surfaces and allowing time for the sealing compound to dry. If you’re looking to set your own schedule, drywall is a viable option. About one in five drywall installers in the U.S. are self-employed. Since drywall is the most common material used for interior walls in both residential and commercial construction, there are plenty of opportunities year-round. Plus, drywall installers and finishers are needed not only in new building projects, but also in home remodeling and improvement. Drywall is a booming industry; with basic skills and on-the-job training, you can start earning high wages quickly.